This review summarizes recent literature on advances regarding renal and ureteral calculi, with particular focus in areas of recent advances in the overall field of urolithiasis. Clinical management in everyday practice requires a complete understanding of the issues regarding metabolic evaluation and subgrouping of stone-forming patients, diagnostic procedures, effective treatment regime in acute stone colic, medical expulsive therapy, and active stone removal. In this review we focus on new perspectives in managing nephrolitihiasis and discuss recentadvances, including medical expulsive therapy, new technologies, and refinements of classical therapy such as shock wave lithotripsy, give a fundamental modification of nephrolithiasis management. Overall, this field appears to be the most promising, capable of new developments in ureterorenoscopy and percutaneous approaches. Further improvements are expected from robotic-assisted procedures, such as flexible robotics in ureterorenoscopy. Treating patients with urolithiasis is part of the everyday urological practice. An excellent clinical management involves a complete knowledge of issues regarding metabolic evaluation and subgrouping of stone-forming patients, diagnostic procedures, an effective treatment regime in acute stone colic, medical expulsive therapy, and active stone removal. In the 1980s, results of revolutionary technology such as shock wave lithotripsy (SWL) dramatically changed the therapeutic panorama of lithiasis, while open surgery was disappearing. Today the most invasive procedure for patients with significant stone burden is percutaneous nephrolithotomy (PNL). Furthermore, over the past decade, profound advances in endoscope design, durability, and accessories revolutionized the field of minimally invasive therapy. surgery, endoscopic procedures, and robot assisted procedures. International epidemiological data suggest that the incidence and prevalence of stone disease is increasing . Recent data analysis show a higher prevalence in white population and stronger associations of prevalent kidney stone disease with increased triglycerides, older age, and gallstone disease in African Americans compared to whites, whereas male gender showed stronger association in whites; a dramatic increase of prevalence in female populations is also observed . There was a significant increase in the incidence of kidney stones in children between 1996 and 2007 . Recent papers focused on the most prominent metabolic issues of urolithiasis affecting an ever increasing number of people in developed countries: obesity, diabetes mellitus, hyperuricemia, and metabolic syndrome [4–9]. All these pathologic entities are strongly correlated with stone-former patients. After calcium-rich diets were found not to correlate with increased risk of stone formation, whereas calcium and Vitamin D supplementation played a pivotal role in stone-former patients . The protecting role of adequate diet characterized by a high intake of fluids, fruits, and vegetables, a low consumption of salt and protein and a balanced intake of calcium, fats, and carbohydrates constitutes an efficacious approach to the prevention and treatment of this illness [5, 11]. Identification of metabolic risk factors and correct interpretation of collected data play an important role in managing stone patients and preventing recurrence wherever possible. The new edition of the European Association of Urology (EAU) Guidelines on Urolithiasis includes a useful system of subgrouping stone-forming patients into different categories, based on the type of stone and the severity of symptoms of the disease and also includes a simplified overview of the principles of analytical work-up . Other authors underlined the fundamental role of metabolic work-up in high-risk stone formers  and children [14, 15]. Still controversial is the role of urology specialists in fields where the nephrologist often plays a major role. Since patient compliance largely influences medical treatment outcomes, adequate patient information regarding drinking and dietary recommendations plays a major role [12, 13, 16]. Dietary and drinking advice should always be considered before any pharmacological therapy. Correct dietary regimes should never be abandoned even when a pharmacological approach is started. Various therapeutic tools were used in order to reduce the risk of recurrent calcium stones, that may result in stabilization of stone disease and prevention of the need for further surgical procedures for stone removal [16, 17]. Turk et al. gives a brilliant effort to summarize all the suggested treatments and recommendations . Alkalinizations of tubular cells is the most important factor that results in an increased citrate excretion with only a small fraction of citrate preparations excreted with urine. Citrate calcium chelation reduces ion-activity products of both calcium oxalate and calcium phosphate and inhibits growth and aggregation/agglomeration of these crystals . Thus citrate dilate lithogenesis promotes urinary alcalinization (reducing uric acid supersaturation) and increases cystine solubility. Citrate supplementation plays a fundamental role particularly in patients with hypocitraturia, which constitutes 20% of all stone formers [12, 18, 19]. Various citrate preparations (sodium potassium citrate, potassium citrate, potassium magnesium citrate, potassium bicarbonate, and sodium bicarbonate) were known to reduce the risk in stone-former patients. Findings based on randomized studies show that potassium citrate has a greater potential for preventing recurrence than does sodium potassium citrate [20–26]. When oral intake of citrate preparations is unpleasant for the patient, lemon or orange juice could be a valuable option, the latter being a better alkalinising and citraturic agent [21–23]. Citrate supplementation is also useful to considerably decrease stone formation risk that is correlated with prolonged bed rest . After the initial report by Yendt in 1970 we have more than 30 years of clinical experience with thiazides for calcium stone prevention [27, 28]. The aim of thiazide treatment is to reduce calcium excretion in hypercalciuric patients (which constitutes around half of stone formers). This effect is thought to be mediated by an increased reabsorption of calcium in the proximal and distal part of the nephron [27–29]. Idiopathic hypercalciuria is a common disorder in children and can present with a range of clinical presentations such as hematuria, voiding dysfunction, flank pain, abdominal pain, nephrolithiasis, urinary tract infection and decreased bone mineral density. Dietary modifications are often sufficient in the management of hypercalciuria. If the symptoms persist or a rare monogenic disorder is present, consideration should be given to medical treatment with a thiazide diuretic and/or citrate therapy . Hydroclorothiazide is usually given at a 25–50 mg dosage once or twice daily. A supplementation with potassium salt (i.e., potassium citrate 3.5–7 mmol twice daily) is needed to counterbalance the thiazide-induced potassium loss and hypocitraturic effect [12, 31, 32]. Thiazide treatment has considerable metabolic side effects: unmasking normocalcaemic hyperparathyroidism, development of diabetes and gout, and erectile dysfunction contribute to a limited patient compliance (50–70%) and high dropout rate [12, 16, 33]. A xantine-oxidase inhibitor that prevents uric acid production from purine, allopurinol is a commonly used and usually well tolerated anti-gout drug . In urolithiasis patients, treatment is given to counteract the formation of calcium oxalate stones. Allopurinol use in this pathologic condition was introduced following demonstration of a relationship between hyperuricosuria and calcium oxalate stone formation. Allopurinol has been used clinically in patients with or without hyperuricosuria. During the 1980s, Miano et al. performed a placebo-controlled study where treatment with allopurinol was given to hyperuricosuric, calcium oxalate stone formers. Results were favorable to the allopurinol group, where 75% of patients were free of recurrent stones compared with 45% of the placebo group. Other randomized studies where patients were not selected for hyperuricosuria found no effect on stone formation, thus recent published EAU Guidelines  suggest that allopurinol “might be useful for treating patients with hyperuricosuric calcium stone formation” but it “cannot be recommended for patients with other biochemical abnormalities”. A new potential pharmacologic therapy for recurrent stone disease is described by Goldfarb et al. Febuxostat, a nonpurine inhibitor of xanthine oxidase (also known as xanthine dehydrogenase or xanthine oxidoreductase) may have advantages over allopurinol and is being tested in a similar protocol, with the eventual goal of determining whether urate-lowering therapy prevents recurrent calcium stones . The major drawback of allopurinol treatment is the occurrence of severe side effects reported with high doses. Adverse effects include Steven-Johnson or Lyell syndrome, vasculitis, hepatitis, and renal failure. Allopurinol should be discontinued immediately in case of cutaneous rush . Various herbal preparations have been used in urolithiasis therapy since ancient times . Grases et al. evaluated the antilithiasic activity of herbal extract and antioxidant flavonoids (catechin and epicatechin) in rats with ethylene glycol induced lithiasis. Herbal preparations and flavonoids showed the ability to prevent papillary and intratubular calcification in the kidney . Phytotherapy was probably clinically efficacious in hastening stone expulsion (<8 mm) without any observed adverse events . Other herbal preparations show efficacy in stone expulsion after SWL (see further). Non-contrast computed tomography (NCCT) has been introduced during recent years and has become the well-recognized gold standard and most clinically useful tool for diagnosis of urolithiasis [40–42]. One great advantage is its ability to detect alternative diagnoses and to identify uric acid and xanthine stones that are radiolucent on plain film. This method shows superior  specificity and sensitivity compared with Intra Venous Pyelography urography. Combined IVU and CT study allowed correct diagnosis of the underlying cause of delayed excretion or upper urinary tract dilatation in 97% of cases, reducing time and radiation . Still controversial is its role during follow-up for treated urolithiasis patients and those on observation protocol. Potretzke and Monga  suggested that follow-up should be done with plain film radiography if the stone is radio-opaque. Surveillance in children, uric acid stone-formers, and cystine stone-formers should be performed with ultrasonography. Pediatric patients treated for symptomatic urolithiasis could have completed their evaluation and treatment without undergoing NCCT in nearly 90% of the cases . The usefulness of plain radiography is still under debate. Lamb et al. determined the proportion of stone patients in which management is altered by the interpretation of plain abdominal radiographs (KUB). They observed that on the basis of KUB findings a significant change in patient management occurred. Data shows that KUB offers a significant advantage in treatment planning once the diagnosis has been established by NCCT because of information it provides regarding radio-opacity as well stone size and visibility. Johnston et al. agree if the stone is visible on CT scout film, then the decision to use KUB for follow-up can be made. This minimizes radiation exposure and other costs . But stone features cannot be delivered by NCCT alone. NCCT size estimation of distal ureteral stones versus their actual size was investigated by Kishore and coworkers . Findings show that CT is a poor predictor of the largest stone dimension for distal calculi. Thus caution should be used in patient counseling on the rate of spontaneous passage. Experimental studies using dual energy CT images (ie, scanners that can simultaneously acquire images at different energies) try to offer a routine clinical practice to estimate urinary stone composition based on the density of all constituent voxels . In recent study, the introduction of dual-energy computed tomography systems has significant and unique applications for urologists. Imaging data from these scanners can be used to evaluate composition of urinary calculi . Ultrasonography is a well-recognized diagnostic tool and is usually the first imaging modality during diagnostic work-out. Ultrasonography is furthermore a safe and useful option in both the pediatric and pregnant populations, for whom it constitutes the imaging modality of choice. Further studies refined the diagnostic usefulness of ultrasonography in the localization of distal ureter calculi by imaging transrectally and transvaginally [52, 53]. Mitterberger et al. placed ultrasound transducers with three-dimensional and volume scanning capabilities, transvaginally in female patients and transrectally in males. The authors were able to exhibit stones with 100% sensitivity, improving diagnosis in patients examined with transabdominal ultrasound and intravenous urogram (IVU), which together had 81% sensitivity. In vitro study is enveloping a promising modality to facilitate spontaneous clearance of kidney stones and increased clearance of residual stone fragments after surgical management. Shan et al. present a novel method and device to reposition kidney stones using ultrasound radiation force delivered by focused ultrasound and guided by ultrasound imaging. Feasibility of repositioning stones was investigated by implanting artificial and human stones into a kidney-mimicking phantom that simulated a lower pole and collecting system. During experiment, stones were located by ultrasound imaging and repositioned by delivering short bursts of focused ultrasound. Stones were seen to move immediately after delivering focused ultrasound and successfully repositioned from the lower pole to the collecting system . Patients undergoing diagnostic imaging may receive excessive doses of radiation during initial diagnostic and follow-up evaluations. Renal collecting systems can be illustrated more precisely with the advent of multi-detector row CT through thinner slices, high speed acquisitions, and enhanced longitudinal spatial resolution resulting in improved reformatted coronal images. On the other hand, a significant increase in exposure to ionizing radiation, especially in the radiosensitive organs, such as the gonads, is a concern with the increased utilization of urinary tract CT . Few studies investigated the effective radiation dose associated with an acute stone episode and short-term follow-up. Ferrandino et al. in a single-institution study found that 205 patients received a dose greater than 20 mSv. John et al. found a median radiation dose per stone episode of 5.3 mSv, with higher doses in those with renal stones and those who required CT scans and other interventions. Ferrandino suggests that urologists must be cognizant of the radiation exposure to patients and seek alternative imaging strategies to minimize radiation dosages during acute and long-term stone management. [56, 57]. In the US, around 60 million CT scans are performed every year , raising concern about the amount of radiation delivered. Thus different lower-dose radiation protocols were proposed [56–60]. Results show a high efficacy of lower-dose CT. Unfortunately, studies defined standard and low-dose protocols differently. A standard protocol uses about 180 mAs and low-dose protocol would be performed with about 30 mAs. Furthermore, a major role is played by the slice thickness and therefore the patient’s time exposure. But low-dose protocols use thicker slices than standard protocols, raising the risk of failure in detecting smaller stones. Memarsadeghi et al. determined that overlapping 3–5 mm slices could be a sufficient parameter for detection of significant urinary stones . Ciaschini et al. found no significant differences with low dose (−25% and −50%) examinations for the detection of calculi greater than 3 mm . Jellison et. al and Jin et al. compared ultra low dose and conventional computerized tomography protocols for detecting distal ureteral calculi  and renal calculi  in a cadaveric model. Jellison’s ultra low dose computerized tomography protocols detected distal ureteral calculi in a fashion similar to that of conventional computerized tomography protocols in a cadaveric model. These protocols may decrease the radiation dose up to 95%. Jin decreased the tube charge from 100 to 30 mAs, resulted in similar detection of renal stones respect conventional CT. Dose reduction is also important in pediatric settings. The use of the 80 mA setting for all children and 40 mA for children weighing 50 kg or less does not significantly affect the diagnosis of pediatric renal stones . SWL has changed dramatically the management of urolithiasis since the early 1980s. Widespread use of the technology, development of smaller devices, modified indication, and the lower cost of the procedure revolutionized the approach to stone patients. The large amount of sessions performed in the last 25 years allowed for the collection of important data on the indications, contraindications, and adverse effects of the procedure. Krambeck et al. collected data regarding diabetes and hypertension associated with SWL performed with a Dornier HM3 lithotripter. Hypertension incidence was significantly correlated with bilateral procedures, while diabetes was correlated with shock wave number and frequency. The authors suggest that unobserved micro-trauma on the pancreas and kidney could explain the incidence of diabetes and hypertension. On the other side recent study by Chew et al. compare the prevalence of hypertension and diabetes mellitus (DM) in patients treated with an unmodified HM-3 lithotripter (USWL) and a second-generation modified HM-3 lithotripter (MSWL) 20 years ago at their centre in Vancouver with that in the provincial population. No association between lithotripsy and the development of either DM or hypertension in a multivariate analysis. They postulate that the development of renal calculi in our subjects is more indicative of an overall metabolic syndrome where there is increasing evidence that patients with kidney stones get hypertension and diabetes and vice-versa. The development of these diseases is not related to shockwave lithotripsy, but rather to a systemic metabolic dysfunction. Lee et al. in 2011 propose SWL treatment at a frequency of 60 shocks/min yielded better outcomes, such as a lower number of SWL sessions, and had an increased success rate compared with SWL at 120 shocks/min. On the other hand, pretreatment did not impact renal injury. Therefore, SWL treatment at a frequency of 60 shocks/min could improve treatment efficacy more than that for SWL at 120 shocks/min. . Mazzucchi et al. found no significant differences in the stone-free and complication rates were observed by reducing the total number of impulses from 4000 to 3000 and the frequency from 90 to 60 impulses per minute . Chacko et al. favors a frequency reduction, arguing that 90 sw/min treatment gave better results in terms of stone fragmentation compared to 120 sw/min . Further reduction of frequency (30 sw/min) showed a protective effect on renal vessels in an animal model . Furthermore, Tham et al. observed optimal fragmentation by using a short delay time (20 μs) between shock waves . In animal models, stepwise power increases (18–20–22 kV) during treatment gave better results in terms of stone comminution compared with power decreases or leveling (96.5% vs. 89% vs. 87.6%, respectively). Moreover, Willis et al. proposed a “pre-treatment” of the kidney with low-energy shock waves (12 kV) in order to reduce renal injury [73, 74]. Nomograms were introduced by Kanao et al. correlating stone size, location, and numbers to predict stone-free rates after the procedure using a Dornier Lithotripter D . Recently, Nakajiima and Kanao validated the nomograms, finding a remarkable area under the curve (AUC) value of 0.725 . This remarkable effort to predict outcome was until now limited to the Dornier machine. Vakalopoulos  avoided this gap by developing a mathematical model to predict extracorporeal shockwave lithotripsy outcomes where predictive equations can be created for different lithotripters. Wiesenthal JD et al. developed a comprehensive nomogram to predict renal and ureteral stone shock wave lithotripsy outcomes, dependent on patient and stone related factors. This factors included stone location, were age, body mass index, stone size, mean stone density (p < 0.01) and skin to stone distance . Shen et al. Perform a systematic review to assess the necessity and complications of DJ stenting before extracorporeal shock wave lithotripsy in the management of upper urinary stones. The systematic review suggested significant advantages of stenting before extracorporeal shock wave lithotripsy compared to in situ extracorporeal shock wave lithotripsy in terms of Steinstrasse. However, stenting did not benefit stone-free rate and auxiliary treatment after extracorporeal shock wave lithotripsy, and it induced more lower urinary tract symptoms . El Assmi found that the presence of hydronephrosis does not affect success rates for distal ureteral stones but increases the number of treatments needed to obtain stone clearance . Recent studies showed the usefulness of CT imaging in predicting fragility and consequently outcomes after SWL. Such imaging could also offer a considerable amount of information regarding intrarenal anatomy (i.e., lower pole calyx orientation), stone location, and stone composition. Studies by Alon et Garcia Marchinena et al. attempt to characterize stone composition with CT in order to have an indication in the management of calculi suggesting a first-line endoscopic therapy instead of SWL [81, 82]. Furthermore, the risk of SWL failure is significantly related to increased radiodensity (signal attenuation) both in vitro and in vivo. Cystine, calcium oxalate monohydrate, and brushite stones are least likely to be fragmented by SWL [83–86]. An extensive meta-analysis of medical therapies could be found in the paper by Shuller et al. and Micali and coworkers [16, 87]. The latter investigated the role of Phyllanthus niruri (a plant belonging to the Euphorbiaceae family used in Brazilian folk medicine by patients with urolithiasis) in SWL and found a positive correlation with lower calyx stone expulsion . The same author  and Zheng et al. explore the efficacy of expulsive therapy using nifedipine or tamsulosin, both associated with ketoprofene, after SWL of ureteral stones. They found that nifedipine and ketoprofene association play a significant role in increasing stone free rates for the proximal and middle ureter (85.7% vs. 51.7%) and that tamsulosin and ketoprofen increase stone free rates in distal ureter stones (82.1% vs. 57.1%). Falahatkar S et al. study the role of tamsulosin as adjunctive therapy after extracorporeal shock wave lithotripsy (ESWL) in 150 patients with 4–20 mm in diameter renal and ureteral stones. Th patients was shared 71 in control group and 70 in case group, treated with Tamsulosin: thei found a statistically significant difference in time of stone passage from onset of treatment (between 20th and 30th day in control group and between 10th and 20th day (50%) in case group after ESWL). Sighinolfi et al. found that treatment with Tamsulosin after ESWL increases fragments expulsion rate of renal calculi also. As seen above, citrate supplementation could play an important role in expulsive therapy after SWL. In a study conducted on 96 hypocitraturic children who underwent SWL potassium citrate showed a significant role in decreasing recurrence (7.6% in citrate arm vs. 34.6% in placebo) agglomeration of residual fragments . Debate over the most favorable method still continues and probably will continue for decades. Kijvikai et al. try to offer some balanced consideration on the better treatment for distal ureteral stones. SWL and URS (ureteroscopic lithotripsy) are both considered to produce excellent stone free rates (86–90%), but stones >10 mm have better outcomes with endoscopy (73% vs. 67%). Aboumarzouk OM et al. agree that, compared with ESWL, ureteroscopic removal of ureteral stones achieves a greater stone-free state, but with a higher complication rate and longer hospital stay. Furthermore, URS plays a unique role during pregnancy or in patients with uncontrolled blood coagulation [93, 95]. In conclusion, SWL revolutionized urolithiasis therapy and is often the treatment of choice for many ureteral and renal stones. Moreover, SWL is related to low complication rates. But a balanced choice should always include patient consideration . At the beginning of this century, ureteroscopy received a new impulse thanks to novel technological refinements such as miniaturization of scope profile, improved maneuverability, and optimized accessory instrumentation. Currently available flexible ureteroscopes have an average tip diameter of about 6.9–7.5 Fr and a mid-shaft diameter of 7.5–9.0 Fr and can be inserted in an intramural ureter without active dilation in most cases . Image quality was also improved by incorporating an optical chip such as a CMOS (complimentary metal oxide semiconductor) or CCD (charge-couple device) at the tip of the ureteroscope together with distal LED light and image processing capabilities. Digital ureteroscopes eliminate the honeycomb effect, and deflection is comparable to traditional fiber-optic endoscopes. 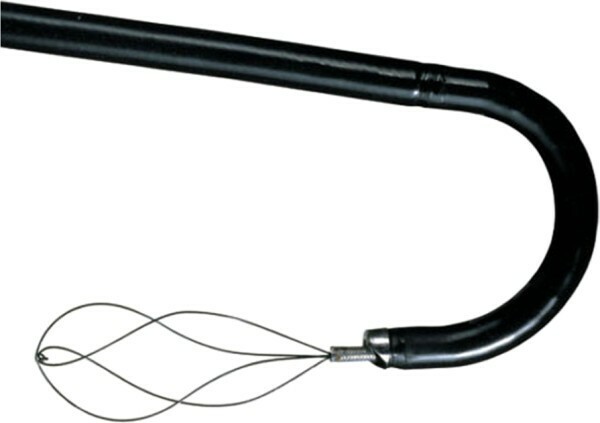 In September 2006, Gyrus-ACMI (Southboro, Massachusetts, USA) was the first to introduce a ureteroscope incorporating this technology: the DUR-D ureteroscope (Figure 1). Preliminary reports indicate that the new-generation flexible ureterorenoscopes are more durable than previous ones [98, 99]. All these enthusiastic reports should be counterbalanced by an awareness of some disadvantages of the new-generation endoscopes. Rigid and flexible digital ureteroscopes are larger in diameter compared to their analog counterparts, and digital technology has higher costs. Thus more research is necessary to evaluate the true advantage of digital technology for ureteroscopy [100, 101]. Undoubtedly, images produced by digital endoscopes such as DUR-D are of outstanding quality. 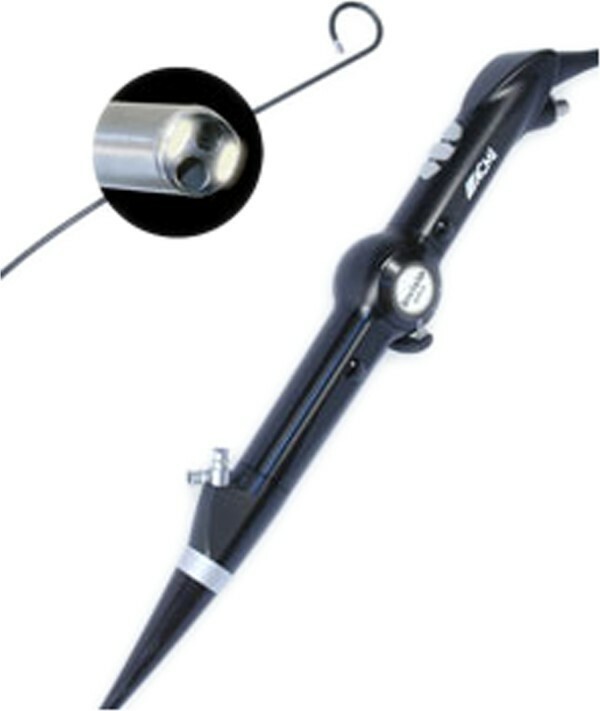 The DUR-D (Olympus) digital and flexible ureteroscope. Deflection capability is also an important issue. The Storz FlexX2 Wolf Viper allows a 270° deflection in both directions, while the Olympus P5 allows 270° in one direction and 180° in the other. The DUR 8-elite ureteroscope (ACMI) was the first to offer dual primary and secondary active tip deflection that totals 270°. Preliminary reports suggest that secondary deflection is necessary in approximately 20–29% of cases [102–104], particularly with regard to lower pole access. Although expensive, the holmium: YAG laser is actually the best intracorporeal lithotripter for the ureter and the benchmark for other energy sources [105–107]. The ideal basket should be flexible, durable, atraumatic, easily deployed/disengaged/disassembled, and of minimal impact on fluid inflow and tip deflection . Thus, the ideal basket simply does not exist until now. Despite marketing efforts to introduce the “perfect” basket, comparison of four popular basket designs suggested that the more complex wire configurations and deflection capabilities offered no advantage over the simple Cook N-Circle nitinol basket [108, 109] (Figures 2 and 3). 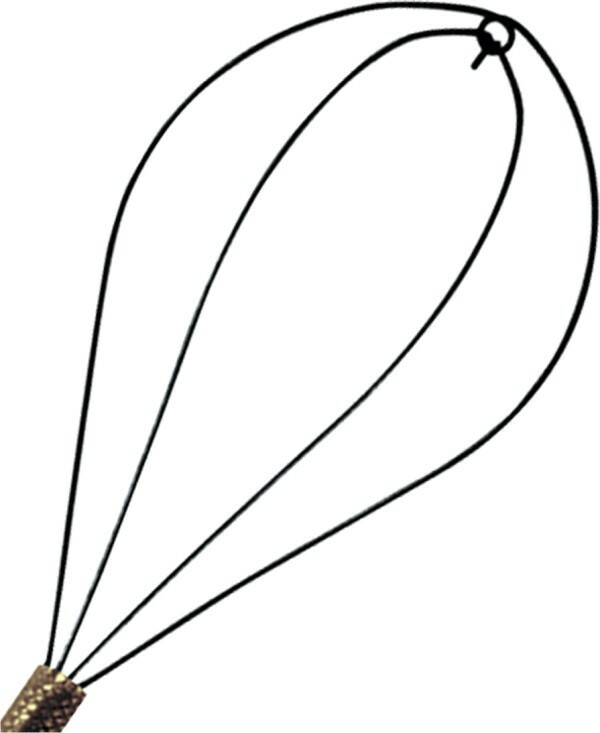 Cook N-Circle nitinol basket on flexible ureteroscope. International epidemiological data suggest that the incidence and prevalence of stone disease is increasing and the number of diagnoses and procedures relating to kidney stone disease has increased significantly in the last 10 years in the UK . Since the introduction of SWL during the 1980s and development of endoscopic techniques, open surgery is rapidly disappearing. Nowadays PNL represents the most invasive procedure for urolithiasis in significant stone burden patients. In the US and UK, PNL experienced a rapid increase while open surgery is showing a dramatic decreas [1, 110]. Percutaneous access is the method of choice in staghorn and complex renal stones with diameters >2 cm and for lower pole calculi with diameters >1 cm . Debates over patient position (prone or supine) and SWL efficacy versus PNL take place in many journals. PNL is indicated as the first-choice treatment in staghorn and complex renal stones >2 cm and for lower calyx stones >1 cm . Recent studies proposed and popularized the Valdivia Uria supine position for PNL. Valdivia Uria’s original paper dated to 1987 and more than 557 have been performed since then. According to the author, the advantages of the position are a direct and easily access to anterior oriented calyces, easier access to the bladder, and better stone free rates in comparison to the prone position . A recent review summarized the arguments for and against prone and supine percutaneous nephrolithotomy: the prone position is associated with a decrease in the cardiac index and an increase in pulmonary functional residual capacity. An increased risk of liver and spleen injury exists for upper pole puncture with the patient supine. Potential injury to the colon is greatest during prone lower pole access. A greater surface area for percutaneous access exists with the patient prone. The supine position decreases surgeon radiation exposure and promotes spontaneous stone drainage during the procedure. Two comparative series show that the supine position is associated with significantly shorter operative time. In contrast, noncomparative case series suggest decreased operative time and blood loss when treating staghorn calculi with the patient prone . The supine position is also indicated in a high American Society of Anesthesiologists (ASA) score . Cracco et al. and Kawahara et al. propose ECIRS (Endoscopic Combined IntraRenal Surgery) is a new way of affording PNL in a modified supine position, approaching antero-retrogradely to the renal cavities, and exploiting the full array of endourologic equipment. Supine PNL and ECIRS are not superior to prone PNL in terms of urological results, but guarantee undeniable anesthesiological and management advantages for both patient and operators. In particular, ECIRS requires from the surgeon a permanent mental attitude to synergy, standardized surgical steps, versatility and adherence to the ongoing clinical requirements. ECIRS can be performed also in particular cases, irrespective to age or body habitus. The use of flexible endoscopes during ECIRS contributes to minimizing radiation exposure, hemorrhagic risk and post-PNL renal damage [116, 117]. The debate over access numbers still continue. The authors suggest that higher stone free rates could be easily obtained with the use of flexible nephroscopes during the PNL [118, 119]. Wong et al. reported a stone free rate of 95% in patients treated with a single percutaneous tract with flexible nephroscopy. The use of a single tract with high stone free rates seems the best achievement in terms of minimal invasiveness and the benchmark for procedure comparison . Akman et al. consider the impact of PCNL using either single or multiple access tracts on renal function, finding similar results. By the way PCNL with multiple accesses is a highly successful alternative with considerable complication rates in the management of staghorn calculi . Li NL et al. propose percutaneous nephrolithotomy through the upper pole calix. The access allows greater stone clearance rate due to its easy access into the intrarenal collecting system and can be an ideal approach for PCNL for complicated renal calculi . PNL under local anesthesia is a very attractive method in order to minimize procedure morbidity. Indication should be very strict and must exclude staghorn calculi patients, previous renal surgery, and stone burden >3.5 cm. Local anesthesia should also include percutaneous tract and renal parenchyma to achieve post-operative pain control [123, 124]. Robot-assisted laparoscopic surgery with the daVinci system is immensely popular among urologists. However some of the earliest experiences with robotics in urology were developed by italian group of Bove in the last ’90. They performed different kind of procedures (spermatic vein ligation, retroperitoneal renal biopsy, simple nephrectomy and pyeloplasty) with the help of two robots: AESOP for the orientation of the laparoscope and PAKY to perform the percutaneous access . Robot-assisted surgery is now well-established in Urology and although not currently regarded as a ‘gold standard’ approach for any urological procedure, it is being increasingly used for index operations of the prostate, kidney and bladder . Fine movement control and drift-free maintenance of the endoscope distal tip is typically insufficient using manual control to perform complex procedures. The aim of robotic surgery is to allow safer and more homogeneous outcomes with less variability in surgeon performance and reduced occupational radiation exposure. Desai et al. tested on animals a new flexible robotic system for performing retrograde intrarenal surgery  and his initial clinical experience on 18 patient was encouraging: all procedures were technically successful without conversion to manual ureteroscopy and the complete stone clearance rate at 2 and 3 months was 56% and 89%, respectively. At 3 months all patients had stable renal function and unobstructed drainage . According to the authors, potential advantages of the technique include increased range of motion, instrument stability, and improved ergonomics. The nascent field of flexible robotics appears to be promising. Refinements in software and hardware are needed to allow these systems to be used for natural orifice transluminal surgery. A significant advance in robotic surgery came from URobotics Laboratory at Johns Hopkins (Baltimore, MD, USA), which recently developed the AcuBot robot. This device is a fully actuated driver for needle insertion, spinning, release, and force measurement. This provides an additional needle support guide in close proximity to the skin entry point. The device is the first promising step to a future clinical application of robotic guided percutaneous renal access . Recent research by Mariani assesses the feasibility of ureteroscopic monotherapy of renal calculi >2 cm. Lithotripsy was performed in 75 patients with a single deflection flexible ureteroscope and predominantly electrohydraulic lithotripsy; laser drilling was employed to weaken very hard stones. Stone free status was achieved in 96% of patients . Recently, similar results was obtained by Hyams et al. : one hundred and twenty patients underwent URS/holmium laser lithotripsy for renal stones of 2 to 3 cm. One hundred and one (84%) patients underwent single-stage procedures. Urolithiasis is a growing problem in industrialized countries and is often correlated to typical Western pathologies and habits such as diabetes, hypertension, high purine intakes, obesity, and metabolic syndrome. Beside drug treatment, in recent years medical therapies incorporating herbal components known for centuries have been investigated. Data show that it offers new advantage in stone clearance after SWL or in spontaneous stone expulsion. NCCT is nowadays the most useful clinical tool in stone patients. Among all the minimally invasive stone treatments, SWL is always the less invasive one, and stone free rates with SWL are lower than with more invasive treatments. Therapy choice should include these considerations. Development of new technologies offers further advances in well-standardized procedures such as PNL and SWL. Robotics seems the most promising field capable of new developments in ureterorenoscopy and percutaneous approaches.